A stay at Recenta Express Phuket Town places you in the heart of Phuket, convenient to Robinson Department Store and Bangkok Hospital Phuket. 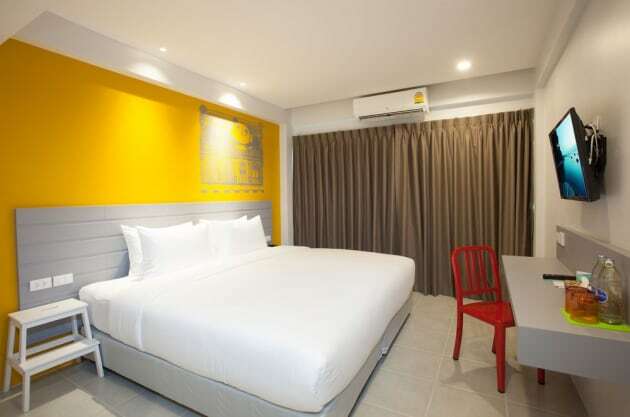 This hotel is within close proximity of Phuket Baba Museum and Phuket Trickeye Museum. Make yourself at home in one of the 212 air-conditioned rooms featuring refrigerators and minibars. Complimentary wireless Internet access keeps you connected, and satellite programming is available for your entertainment. Bathrooms feature showers, complimentary toiletries, and hair dryers. Conveniences include desks and coffee/tea makers, and housekeeping is provided daily.